I see a lot of misleading comments about antenna wires fed at their ends. Perhaps I can clear up some of the confusion. There is a general category of antennas that are "end fed wires". These consist of two basic types. 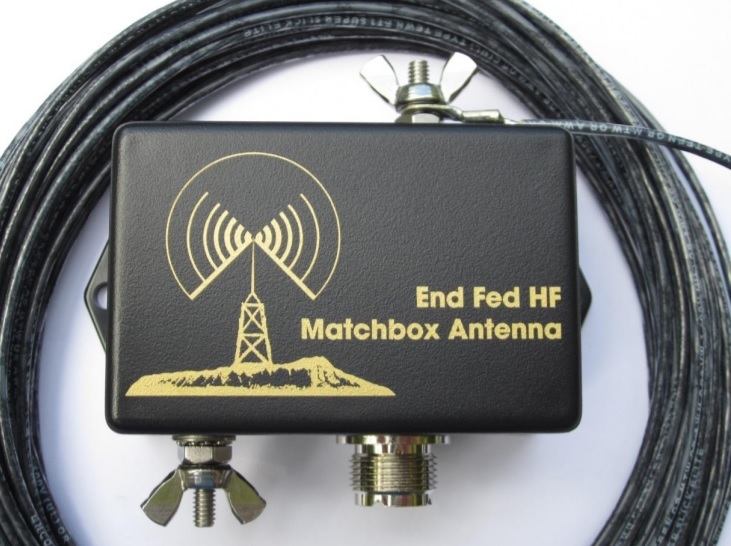 First is the EFHW (End Fed Half Wave) antenna. As its name suggests it is a half wave long and is normally only usable on a single band. It requires a small matching network in most cases. The EFHW design isn't quite as obvious as it sounds. Steve Yates AA5TB does an excellent job of explaining the End Fed Half Wave Antenna. The second common type of end fed wire antenna, and one I usually use for portable operations, is the Random Wire Antenna. The name of this one is confusing. First off, it is not exactly a random length and second of all you definitely DO NOT want it to be an actual have wavelength long on any of the bands where you want to operate. The reason for this when you feed a half wave long wire at its end the impedance is very high compared to the 50 Ohms we typically want. 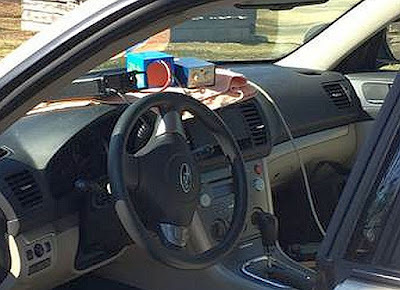 Most internal radio tuners and many external tuners cannot bring this high impedance down to 50 Ohms which will result in an SWR that is too high for most radios. My choosing a length of wire that is NOT a half wave long on any band where you will operate a good match is more likely. The following article describes how the author calculates good wire lengths and provides a hand chart that shows suggested lengths for different combinations of bands. Mike AB3AP's Random Wire Lengths. One small tuner that works very well for these random length wires is the MFJ-16010. It's small so I like it for portable operation and you often see them for very reasonable prices at hamfests. Well, Elecraft has been making the T-1 for some time now. I just recently added this little 20W model to my portable setup. The MFJ-16010 I normally use for portable work is a great little tuner. However, not only is the T-1 smaller it can probably tune a lot faster than I can manually. Elecraft claims it can even tune in both CW and SSB mode. As soon as I have the proper cables made up for the Xiegu X108G I'll have a full report. 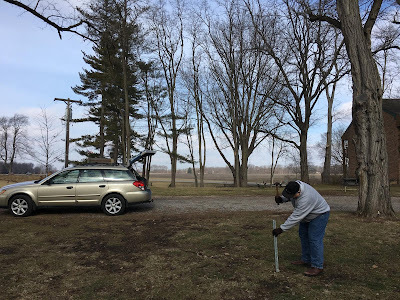 This year I and several friends from the Sangamon Valley Radio Club participated in Winter Field Day from the Clayville Historic Site west of Springfield, IL. Not only was it a chance to get outdoors with friends but it was the first field test of a new HF radio and LiFePO4 battery pack for me. 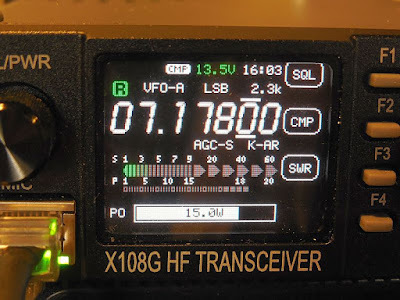 I recently bought a Xiegu X108G HF rig for portable HF operating. They are readily available from several suppliers on Amazon.com. It works great as a QRP radio but also allows up to 20W of power if you desire. I love pure QRP operation with CW but with its broader bandwidth requirements 10-15W SSB seems a lot more practical. No, I'm not a purist. I just enjoy operating outdoors. The X108G is fairly small. 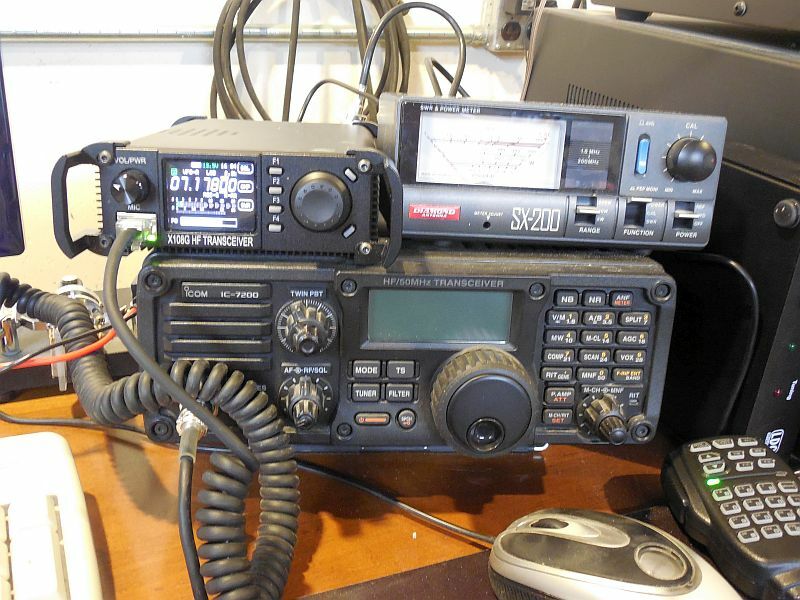 Here's a quick comparison to my IC-7200. Sorry for the mess. This was taken the day I unpacked the radio. The X108G has a small but clear and bright LCD with all the pertinent information clearly shown. Along the right side where you SQL, CMP, and SWR it displays "soft" labels for the corresponding function buttons F1 - F4 to the right. 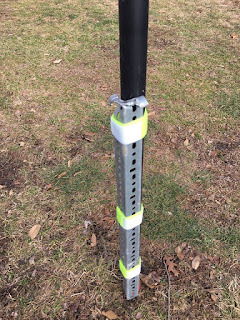 For Winter Field Day and most of my portable operating I use an end fed wire supported by a 28-foot tall fiberglass pole. For this outing I drove a piece of angle into the ground. 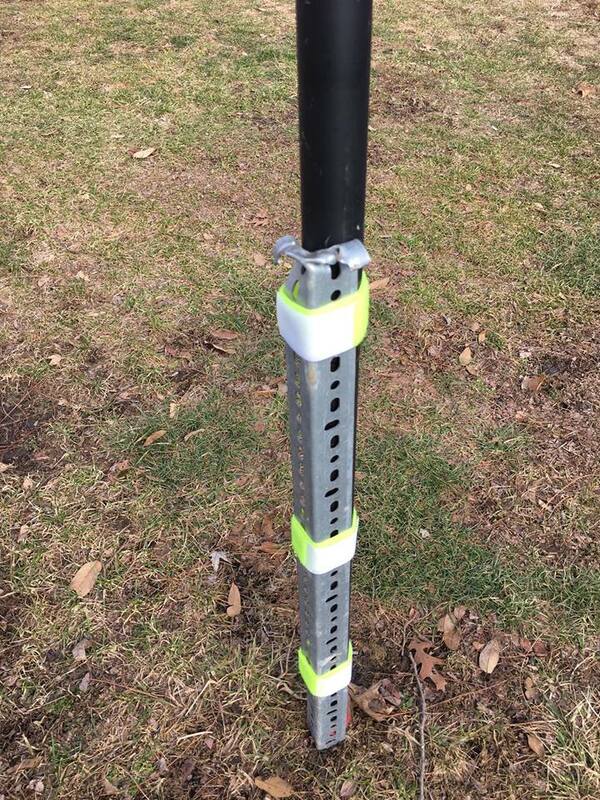 I use Velcro straps to secure the pole in place. There is no picture of the wire going to the top of the pole. You can't see it because it is so thin. Here's an antenna photo before deployment. You can buy it ready made from the Emergency Amateur Radio Club of Hawaii or you can download the documentation free of charge and make your own. Here's the rest of the "station". From left to right are 1) The X108G transceiver, a Bioenno Power 9AH LiFePO4 lightweight battery, and a manual MFJ-10610 antenna matcher. On this particular day I chose to operate from the car because it was cold and windy. You can see from the components that it would be just as easy to toss the items in a small pack for hiking, SOTA, etc. or do "picnic table portable".